Good ol' Leatherface! 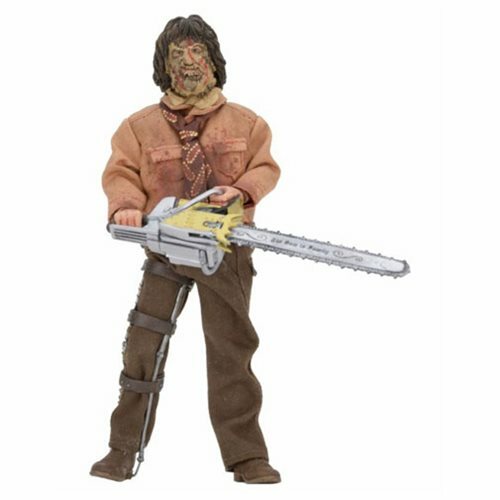 From the 1990 film billed as the "most controversial horror film ever," Leatherface stands 8-inches tall and is fully poseable. True to the Texas Chainsaw Massacre III, movie, the blade of his chainsaw is inscribed "The Saw Is Family" and he wears a leg brace. The figure comes in blister packaging with re-sealable protective clamshell featuring art from illustrator Jason Edmiston. Ages 17 and up.